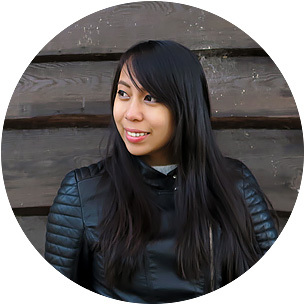 Thank you Aileen for your blog post! It's very useful and relatable. I came across your website as I'm contemplating the option of being a digital nomad myself. I'm working a full-time 9-5 job and I maintain a food and travel blog as my side hobby. I would really hope one day I could figure out a business plan and earn money online or through my blog. For now, I think I will focus on creating more contents and looking for ways to increase traffic flow to my blog. Anyway, I find your blog posts very informative and useful, thank you so much! Aw, thank you so much Sarah! I'm humbled by your words. Ultimately though: I also hope you get to make your plans happen! Hey Aileen! Amazing article. thanks for your great advice! Congrats! I'm seeking for a digital nomad lifestyle since I'm a software developer and at the same time I'm passionate about travelling. I've travelled abroad for months but not like this, I'd like to travel for a longer time and earning some bucks on the move, why not? I coulnd't agree more. 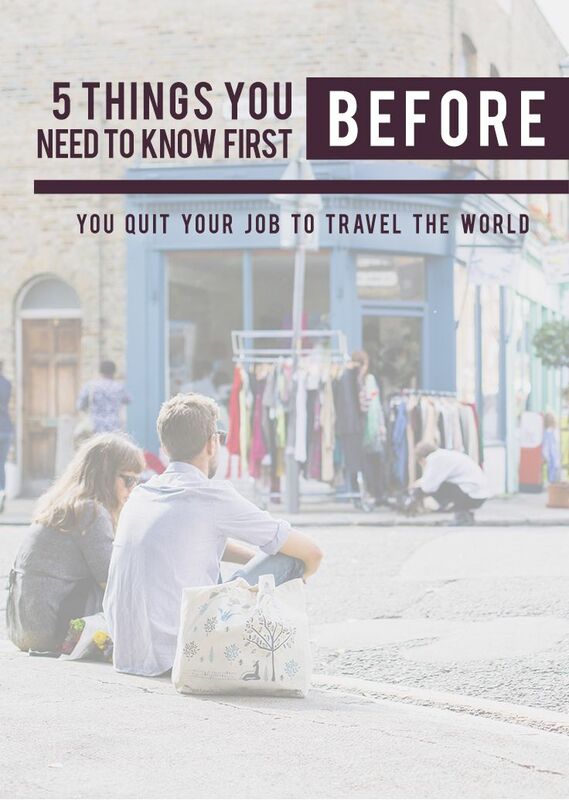 This "quit your job to travel" is becoming a trend, and could be misleading since traveling is not the dream of everyone. In addition, it's not like a permanent holiday and making a living while traveling is more difficult than it seems (but I do believe it's possible, I'm also working towards it!). I also believe in giving people all the information so that can take the right decision - the right decision for them. Jumping in on this a bit late, it's incredible what you were able to do in such a short time and so early! I left the USA for Korea right after graduating from college at 23 and really, as a small town Iowa boy, knew little about the world except that I wanted to explore it and learn about it first hand! Looking back now, almost 10 years later, having had moments of homelessness and eating one bread piece per day to days where I had anything I could want...it's been one heck of a journey. I'm not one that does too much of 'informed decision making' as I tend to think too much and not do anything. But now I'm about ready to try (once again) to become a digital nomad and earn a remote living (somehow) starting in July when my current teaching job lays everyone off. It's exciting and scary. I'm still trying to figure out what skills I have that I can offer online (or how to express my experience since I've never really worked the 9-5 desk job or had training to work in one). Hey Josh, thank you so much for sharing your story with us! I can imagine how this must be an exciting and nerve-wracking experience for you, but your drive is there and I think you should be just fine :) I really wish all the best for you! (Have you read my other article for "How to Become a Digital Nomad" and "5 Job Types to Do While Traveling"? I think those can help you out as well. I did read the articles and they helped answer what most would probably consider a common sense problem...What to do if you don't have the necessary skills or training? I read that you didn't really know how to do everything at first but you taught yourself through youtube tutorials. Awesome! And oh I didn't learn mainly through YouTube. Basically any random article or free courses that I saw online back in 2013 and before are those that helped me best. :D But for sure, there are tons of resources out there and the rise of websites like Udemy makes everyone's life easier (wished this was present back when I was starting haha). Are there any specific sites or courses that helped you? I'm trying to prep myself before July when I get laid off. Great advice here, thanks for sharing! I agree, it's easy to daydream about beaches, cocktails and a few exotic temples while not actually realising that there's a lot else that comes with that lifestyle! But if you do realise it's for you - the world has been opened! I'm currently working a 9-5 job and the job, colleagues and office atmosphere are great, but I just can't stand the lifestyle. That tells me I need to find a way of working for myself. I know I want to live a nomadic life for a few years - maybe not forever, but I guess i'll work that out when i'm on the road. I definitely know that travelling will be a part of my life forever! I'm glad you agree, Claire! I felt the need to write this since I saw the increasing misconceptions about this lifestyle, and how some other people seem to fuel it. Anyhow, at least knowing what you already reaaally want is a first step — I wish all the best in your journey to achieving your goals! I totally agree with you! Travelling is a big decision and it has his bad sides also! I did it! I don't regret at all but I still have my rough phases..! Nice Nice! Also, make sure you opt for a trip insurance while you are traveling. It is really helpful. I definitely will :) Thank you! Great advice..love this stuff...inspiring but not all beer and skittles...so to speak - still going to do this soon! Thank you Will! And that's great to hear -- let me know how it goes for you! I wish you nothing but the best!